Financing a college education is one of the biggest commitments and most expensive investments you and your student will make in a lifetime. You want the best return possible on your education dollar. The cost of an education here is very competitive, and you simply get more for your money as a Lion. Your student will find both academic challenges and a culture of mentorship that is shared among our faculty and staff at our university. Whether you are a leader, a scholar, a researcher or a practitioner, our affordable and challenging graduate level programs are designed to prepare you to meet or exceed your professional goals. Flexibility is also the hallmark of an A&M-Commerce graduate education. We offer programs on our main campus in Commerce, Texas, at several sites across the Dallas Metroplex and online. Expand your professional skills in areas outside of the academic discipline, including leadership, project management and networking. * Advanced degree holders earn a salary, on average, that is 35 percent higher than bachelor’s degree holders, according to the State Higher Education Executive Officers Association. We understand that college is a significant financial investment. 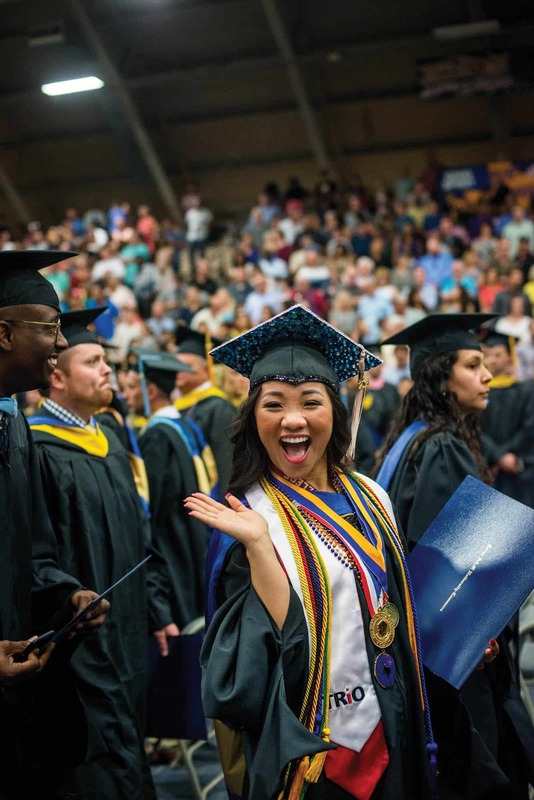 You will find that A&M-Commerce is one of the most affordable universities in North Texas, and more than 70% of undergraduate students receive some sort of financial aid. Let us help you fund your educational goals. While our annual rates are listed below, we also offer guaranteed plans that lock in tuition and fee rates. That’s one less thing to think about while you’re planning for college. *Students from out-of-state counties bordering Texas pay in-state rates. Residents from other counties in Oklahoma pay $30 more per SCH than in-state. Price comparison is based off 2017-2018. Current rates vary. Earning a degree should not cost you more each year. Our plan locks in tuition costs and mandatory fees for your academic program from registration to graduation. It’s one less thing to think about in college planning. On the Guaranteed Tuition Plan, you will be a part of a cohort of students who will pay a certain rate based on residency. That rate is locked in for you when you register. From there, you can begin each year with the immediate understanding that the cost of your degree has not changed. This plan allows you to focus your efforts on completing your program and progressing toward graduation rather than worrying about rising academic costs. With the Guaranteed Tuition Plan as your guide, you will save money while receiving the high-quality education that A&M-Commerce has offered for over 125 years. * Statutory tuition rate for non-residents is set by the state of Texas annually and cannot be guaranteed. **Mandatory fees include the student service, student center, athletic, recreation center, and university service fees. Other academic costs (parking fees, room, and board, books, supplies, etc. *Non-resident statutory tuition is set by the state of Texas annually and cannot be guaranteed. Undergraduates may be eligible for rebates up to $2,000 upon graduation. Rebate eligibility is based on Texas legislature tuition rebate requirements and university guidelines. Guaranteed Tuition Plan is Texas A&M University-Commerce’s plan compliant with Texas House Bill (HB) 29 or the Guaranteed Tuition Cohort Plan. We offer guaranteed plans that lock in tuition and fee rates. That’s one less thing to think about while you’re planning for college. As noted – figures are for Texas residents only. Non-residents are eligible for Guaranteed Tuition Plans but non-resident tuition/fee rates will apply. Use the Net Price Calculator (NPC) to help you estimate the cost to attend an institution of higher education in Texas. Provides consumer information regarding college costs AFTER financial aid is taken into consideration. Provides more information than just the typical cost of attendance. Is ONLY AN ESTIMATE – your aid package could be significantly different depending on the information you report on your actual FAFSA application. Is NOT a financial aid packaging tool; it is NOT intended to calculate an individual’s exact net price. Uses data from first-time freshmen students who are enrolled full time (12 hours or more). Try out the Net Price Calculator! These rate schedules apply only to students who began enrollment in their academic program in Fall 2018. Texas Affordable Baccalaureate (TAB) Program: Course charges for students in the TAB program with degree code BAAS-ORGL are assessed at the rate of $750 per each seven-week course module. Global E-Learning Program: Course charges for students in the Global E-Learning Program with degree code MS-GBEC are assessed at the rate of $625 per credit hour. 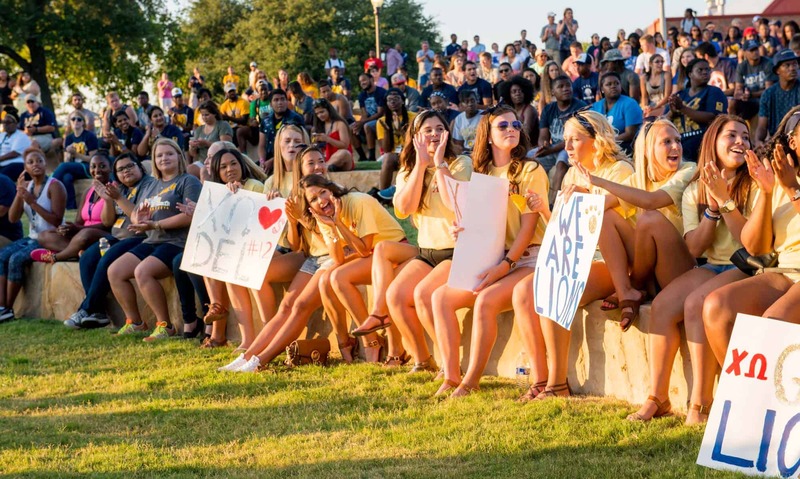 The cost of attendance (COA) budgets at A&M-Commerce vary with enrollment status, housing arrangements and personal lifestyles. COA is considered estimates (actual amounts for each student may vary). COA is used in the process to determine financial need. Standard student COA budgets are prepared each year and reported to the Texas Higher Education Coordinating Board (THECB). COA budgets are used in determining a student’s financial need. Budgets are constructed for students living on-campus and off-campus. Each standard expense budget includes cost components defined by law. Tuition and fees normally assessed a student carrying the same academic workload. This component includes costs of rental or purchase of equipment (including equipment for instruction by telecommunications), materials or supplies required of all students in the same course of study. Allowance for books, supplies, transportation and miscellaneous personal expenses. This component can include a reasonable amount for the documented rental or purchase of a personal computer. Allowance for room and board. The living on campus allowance is the average costs associated with on-campus housing and the various meal plans available. Allowance for costs expected to be incurred for dependent care. Students incurring the costs of dependent care in order to attend classes can submit documentation of such expenses from the day care provider. Allowance for the one-time direct costs of obtaining a first professional license or certificate for students who are enrolled in a program that requires such professional licensure or certification. This component is a one-time allowance. Examples for allowable costs are fees charged to take a licensing exam and costs of applying for and obtaining the license or certification. The costs must be incurred during (not after) a period of enrollment. Allowance for study abroad programs approved for credit including reasonable costs associated with the study abroad program. For a disabled student, an allowance for expenses related to the student’s disability. Such expenses include special services, personal assistance, transportation, equipment and supplies that are reasonably incurred and are not paid for by other agencies. For students engaged in a work experience through a cooperative education program, an allowance for reasonable costs associated with such employment. For students receiving loans, the loan fees required to receive the loans. Loan fees associated with private educational loans can be included only if the fees are charged during the period of enrollment for which the loan is intended. For on-line courses, the COA includes the costs of tuition and fees, books and supplies, if not already included in the cost of enrollment. If there is a required period of residential training, the COA can also include an allowance for travel and an allowance for room-and-board costs specifically incurred for the period of residential training. Adjustments to components of the COA over and above those indicated will need to be documented and explained in full before any adjustment can be made. Lab Fee: $5-$45 per course for lab courses. College of Business Program Fee: $25 per credit hour for all graduate level courses offered through the College of Business. Course Retake Fee: Students enrolling in a course for the third time may be assessed a course retake fee of $125 per credit hour. This fee is assessed in addition to the standard tuition/fee charges for each semester. Please contact the Registrar at (903) 886-5068 if you have questions regarding the course retake fee. Distance Learning Fee: A distance learning fee of $50 per credit hour is assessed in addition to regular tuition and mandatory student fees for courses delivered via the Internet or by two-way interactive video at the receiving site. Students enrolled in two-way interactive video courses at the sending site will not be assessed the distance learning fee. Program Delivery Fee: Students taking courses at any location other than the main Commerce campus will be assessed a program delivery fee of $20 per credit hour. This fee applies only to lecture courses where the instructor is present. Web-based courses or course sections taught by interactive video at the receiving site will not be assessed a program delivery fee. Courses taught at Corsicana and Midlothian locations will be assessed a program delivery fee of $10 per credit hour. Property Deposit: A $10 general property deposit is required to remain on deposit for each student during his or her enrollment at the university. This deposit is to ensure the institution against losses, damages and breakage in libraries and laboratories. If the $10 deposit is refunded or any claim for damages is filed against the deposit, a student will again be assessed the property deposit fee. If not claimed within four years after the last date of enrollment, the deposit is non-refundable. To receive a refund of your property deposit, a written request must be submitted to Student Accounts, Financial Services office after your withdrawal or graduation. Special Fees: Parking Permits are issued for the academic year. They are $40 if purchased in the fall semester, $32 if purchased in the spring semester and $24 if purchased in the summer semester. Audit Fee: Fees for audited courses are the same as the credit hour fee charged for Texas resident and nonresident students. All students who audit a course must first receive permission from the instructor and department head. Students may not enroll to audit a course until the first day of class. Students enrolling to audit a course must notify Records and Reports prior to completing registration. Credit/debit card payments are accepted through MyLeo. 3-digit security code on the back of the card. The university accepts Visa, MasterCard, American Express and Discover. You may also pay online using your checking or savings account information. A payment using this option will require you to enter the routing number for your bank and your checking or savings account number. Students are now able to receive text messages with payment reminders, billing statements, automatic bill payment reminders and installment payment due reminders. Find out more about Text Messaging Options. Payments by mail must be received by payment deadlines (postmark dates are not considered). The university DOES NOT have mail delivery on Saturdays. Please include your campus-wide ID (CWID) number on all checks and correspondence. Remaining charges (tuition/fees, housing, and meal plan) divided into four equal payments due throughout the semester. A $25 late fee is assessed on past due balances after each payment date. When you elect to pay your tuition in installments, you agree to the terms and conditions of Texas A&M University-Commerce Policy Number II S I, Tuition and Fees Installment Payment Plan which states in Paragraph c: A student who fails to make full payment of tuition and fees including any incidental fees by the due date may be prohibited from registering for classes until full payment is made. A student who fails to make their payment prior to the end of the semester may be denied credit for the work done that semester. The Critical Dates page lists payment due dates. The installment payment plan is not available during summer and mini-terms. Tuition/fees for summer and mini-terms must be paid in full prior to the start of each semester. Changes in class schedules or changes in housing/meal plans may affect payment amounts. Billing notices sent via email: Billing notices for tuition/fees and other expenses are sent to your campus email address. Please check your email regularly and forward billing information to third parties (parents, employers, etc…) if necessary. Where to view and pay bills: You can view and pay your bills online through MyLEO under the LeoPay section. This information is real-time, reflecting charges and payments as they are posted to our student accounting system. Please see the Academic Calendar for tuition and refund dates. Important due dates: Tuition/fees, student housing charges and meal plans are due in full on the first payment due date for each term. Remaining charges divided into four equal payments. Payments are due at specific dates during each semester with the last payment due prior to the end of the term. The installment plan is not available during summer semesters or for mini-terms. Short-term tuition loans: Students who cannot make payments as described above may apply for assistance through the University Loan Office. Short-term tuition loans are available to pay tuition/fees only. These loans are due before the end of the term and carry a 5% interest rate. Contact the Loan Office if you have further questions. All loan applications are subject to eligibility requirements and availability of funds. Please contact the Student Accounts Office if you have any question as to whether your academic program is eligible for the installment payment option. Uncollected accounts and loans can be referred to a collection agency approximately 90-120 calendar days after the end of the term. Students can avoid that action by working with us to develop a mutually satisfactory repayment plan. However, if no response to our inquiries is received or no cooperation is forthcoming, the university will proceed with formal collection action. When an account is referred to an outside collection action, the past due account or loan in question will be reported to all national credit bureaus. Please be aware that unlike consumer credit card debt, past due amounts owed to governmental agencies (like A&M-Commerce) may stay on a credit report for an indefinite period. They do not “go away” after a few years. These items may create difficulty at a later date when applying for a home mortgage or other types of credit. Student account refunds are commonly generated by application of financial aid, reduction of charges due to dropped classes or withdrawal from enrollment or a change in housing or meal plan contracts. Student accounts with credit balances are refunded automatically. No action is needed by the student to initiate a refund from a credit balance on their account. Students will receive refunds by mail or direct deposit only (an exception for credit card payments is discussed below). The university partners with BankMobile Disbursements for refund delivery. We determine who receives a refund but delivery of refund monies is completed through BankMobile Disbursements. Shortly after enrolling at A&M-Commerce for the first time, students will receive a mailer from BankMobile Disbursements containing a personal enrollment code with instructions to go online to BankMobile and select a preferred refund delivery method. Direct deposit to an existing bank account. Refund check sent through the mail. Open a checking account at BankMobile and have refunds direct deposited to that account. If you choose this option, you can request that BankMobile send you a MasterCard branded debit card that can be used for purchases and at ATMs. Please be aware that a fee may be charged if you use your card at an ATM outside of the authorized ATM network. Students are not required to open a checking account with BankMobile Disbursements. The choice of refund delivery method is strictly up to each individual student. Please contact the Student Accounts Office at Student.Accounts@tamuc.edu if you have any difficulties with the refund process. For contact information, check out BankMobile. All refunds require several working days to process. When a refund entry appears on your account, you should add at least three to five working days to the date shown. Your refund should then be ready for transfer to BankMobile Disbursements. A number of circumstances can delay refunds. If you have a past due loan or another charge from a prior semester, your refund will be delayed at least a day. There are occasional unexpected system problems that can cause refunds to be delayed as well. Refunds may be delayed and you are advised to wait until your refund check is delivered to you or your direct deposit is available in your individual bank account. The university is not responsible for any charges that you might incur due to delays in refund processing. If a payment has been made on your account using a credit card, we will issue refunds back to the credit card used for payment first before issuing any cash refund. The university cannot issue cash refunds for credit card payments. This procedure will apply to all refunds including those generated by financial aid or scholarships. Please be aware that if someone else pays on your account with a credit card then your refund may go back to that card. Contact Student Accounts if you have any questions as to how credit card payments/refunds will work. Refund inquiries should be directed to Student.Accounts@tamuc.edu. We should be able to respond to your inquiry within 2 business days. Students must contact the office responsible for account charges if they have questions regarding the validity of the charge. The Student Accounts Office is responsible for calculating and assessing tuition and fee charges associated with enrollment. Students with questions as to how their tuition/fee charges were assessed may contact us at Student.Accounts@tamuc.edu. Our office will provide an itemization of charges upon written request. The Registrar’s Office administers course drops and withdrawals and is responsible for calculating the percentage of charges refunded. Students will need to contact the Registrar’s Office if they wish to appeal charges remaining after they drop a class or withdraw from enrollment. Please contact Molly.Baur@tamuc.edu if you have any questions about the drop or withdrawal procedure and how the refund percentage for tuition/fees is calculated. The Office of Residential Living and Learning administers housing and meal plan contracts. As such, they are responsible for calculating student account charges associated with those contracts. Students must contact the Office of Residential Living and Learning if they have questions about their housing or meal plan charges. Please contact Judy.Edelhauser@tamuc.edu if you need help understanding how your housing or meal plan charges were calculated. Any adjustment to housing or meal plan charges must be done by the Office of Residential Living and Learning. Please go to the link below for information about housing deposits and property deposit. The university may exercise the right of offset, meaning that a refund could be subject to adjustment if necessary to ensure that past due university obligations are satisfied. A $10 general property deposit is required to remain on deposit for each student during his or her enrollment at the university. This deposit is to insure the institution against losses, damages and breakage in libraries and laboratories. If the $10 deposit is refunded or any claim for damages is filed against the deposit, a student will again be assessed the property deposit fee. If not claimed within four years after the last date of enrollment, the deposit is non-refundable. To receive a refund of your property deposit, a written request must be submitted to the Student Accounts Office after your withdrawal or graduation. Refunds of housing deposits must be approved and processed by Residential Living and Learning. Once that office has entered your refund into the system, a refund check should be generated within a few days. If you have an outstanding balance with the university, your housing refund will be applied as partial payment of that debt. Failure to pay outstanding charges by established deadlines will result in a financial hold being placed on your account. Financial holds are updated each night through a batch process. University cashiers may also remove financial holds if a student’s delinquent account is paid in full; however, in certain circumstances, hold removal may be delayed for various reasons (allowance for check clearing, etc). Delinquent debts can result in placement with a collection agency at which time collection costs will be assessed increasing the amount owed. A Registration Hold prohibits you from adding a class if a past due balance is greater than $75. Waiver of registration holds is at the discretion of the Bursar’s Office. You are expected to pay your account in a timely manner. Failure to maintain your account in good standing can have unfortunate consequences. If you are asking the university to waive a registration hold, you must be prepared to show how you plan to address your past due status. The Bursar’s Office will try to work with you, but our flexibility is limited. A Transcript Hold prevents a student from obtaining an official transcript if a past due balance is greater than $1. Financial holds like those described above will prevent release of an official transcript. To request a waiver of this provision, students must submit a request in writing to the Bursar’s Office. This request should outline the purpose of the transcript request and any circumstances that might impact the evaluation of the request. Contact information must be included. Under no circumstances will an official transcript be released directly to any student still owing a balance to the university but you can request that transcripts be mailed or faxed to a third party such as an employer. Transcripts will not be provided for the purpose of enrollment at another university. All inquiries will receive a response within 48 hours of receipt. The A&M-Commerce Institutional Loan program offers two types of short-term loans: Tuition Loans and Leo Personal Loans. Tuition Loans pay the full amount of tuition/fees only and cannot be used to pay housing or other university charges (including UPD traffic tickets). Tuition Loans can cover course fees as well but not late registration fees. Students do not receive a check with this loan. Credit is made to offset tuition/fee charges. Applications for Tuition Loans must be submitted by the 20th class day for fall/spring terms and the 15th class day for summer terms. Tuition Loans are accessed online through MyLeo. Log in to MyLeo and click on LeoPay. Go to the Payment Plans tab. You will see the option to select the Tuition Loan or the Installment Plan. The Tuition Loan option does not require a down payment but you will have to pay a $35 processing charge at sign-up. There are no interest charges associated with the Tuition Loan option. Tuition Loans cannot be used for courses offered through Colloquy Global E-Learning (MS-GBEC) or for Academic Partnerships programs including MS-Applied Criminology, BS-Business Administration, Masters of Education or Doctor of Education. Leo Personal Loans are offered to students each semester to help cover books, supplies or other related expenses. Loans are capped at $400 per term ($200 in mini-terms and summer semesters). Support documentation may be required with your application. If you have set yourself up for direct deposit refunds, your Leo Personal Loan will be disbursed to you that way. Otherwise, your loan will be disbursed by check and will be available within 2-3 working days. Leo Personal Loans cannot be disbursed before the first-class day of the semester. Leo Personal Loans do not accrue interest but a $35 processing fee is required. The processing fee must be paid before the loan application can be processed. Completed application forms can be faxed to 903-468-6048 or scanned copies can be sent by email to Accounts@tamuc.edu. You can also deliver applications in person to our payment windows in either the McDowell Administration Building or the One Stop Shop. 1. Must be enrolled in the given term. 2. Must be in good standing with the university. 3. Limited to one emergency loan or one book credit per semester. Submission of an application does not guarantee approval. Loan funds are limited and we may not be able to accommodate all applicants even if eligibility requirements are met. Students are limited to one emergency loan or one book credit per semester. Exceptions to eligibility guidelines or loan procedures will be made strictly at the discretion of the university. The university reserves the right to deny loan approval to any student based on past payment performance or other factors that negatively impact credit risk. Contact Student Accounts at 903-886-5050 or Accounts@tamuc.edu for more information or refer to information on the main Student Accounts page for current updates. Students may not borrow against future financial aid distributions and Leo Personal Loans cannot be used to pay UPD tickets or other university charges. A $25 late charge and a registration/transcript hold will be assessed on all past due loan accounts. An undergraduate student’s residency is based on information submitted on their admissions application. It is the student’s responsibility to accurately answer all questions on the application. New students who believe their residency status is incorrect must contact the Office of Undergraduate Admissions at 903.886.5000. Current undergraduate students who believe their residency status has changed must report this change to the Undergraduate Admissions office by completing the Core Residency Questionnaire. Additional documentation may be required to establish Texas residency. The burden of proof is on the student to show they’ve established domicile in Texas for 12 months preceding the student’s enrollment. An individual who has resided in Texas for the 36 consecutive months leading up to his or her graduation from a Texas high school or receipt of a GED, and continued to maintain a residence in Texas for the 12 months leading up to his or her enrollment in an institution of higher education, may be classified as a resident for tuition purposes, regardless of dependency or immigration status. Any individual wishing to qualify under this provision who is not a U.S. citizen or Permanent Resident of the United States must complete and submit an Affidavit of Intent to Become a Permanent Resident to the Office of Undergraduate Admissions in addition to their application for admissions. Independent students are those who provide more than half of their own financial support and are not eligible to be claimed as a dependent for income tax purposes. In order to qualify for residency for tuition purposes, an independent student must reside AND maintain a domicile in Texas for the twelve months preceding the student’s enrollment. Gainful employment that is sufficient to provide at least one-half of the individual’s expenses or that represents an average of at least twenty hours of employment per week. Employment conditioned on student statuses, such as work study, the receipt of stipends, fellowships or research or teaching assistantships, does not constitute gainful employment. Ownership of residential real property in Texas. Ownership and customary management of a business in Texas which is regularly operated without the intention of liquidation for the foreseeable future. Marriage to a person who has resided and maintained domicile (items 1-3 above) in Texas. The residency for tuition purposes of a student who is not independent is based upon that of the parent or court-appointed legal guardian who claims that student as a dependent for federal income tax purposes (or provides more than half that student’s financial support for those not subject to U.S. federal income taxes), regardless of the length of time the student has resided in Texas. If the parent or court-appointed legal guardian of a dependent student meets the criteria of having established residency for tuition purposes, the dependent student is eligible to pay resident tuition. Parents and legal guardians qualify for residency following the same criteria as independent students. International Students who are eligible to establish domicile in Texas may also qualify as Texas residents for tuition purposes. Students must submit documentation for themselves and their parent if they are a dependent. Students with special circumstances related to their claim of residency may submit additional documentation for consideration. Students with F-1 Visas do not qualify. A student classified as a non-resident at the time of admission retains that classification until he or she requests reclassification and provides proof of residence to the Office of Undergraduate Admissions. The student must complete a Core Residency Questionnaire form and provide documentation to support the claim to reclassification as mentioned in the Independent Students section above. 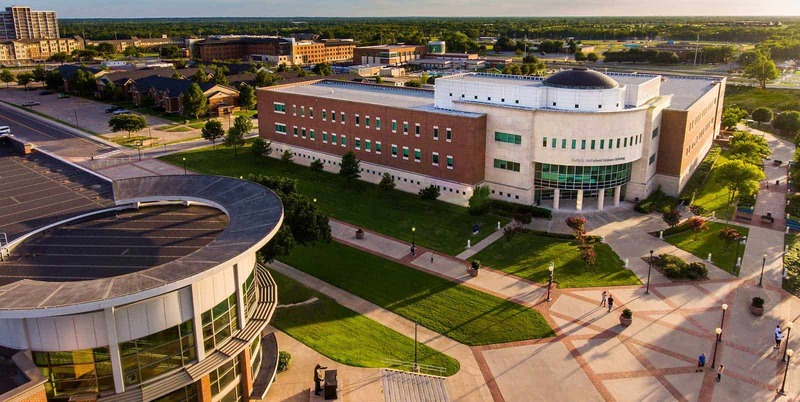 Students who wish to apply for eligibility to pay resident tuition must do so by the 12th class day of the fall or spring semester or the fourth class day of the summer semester in which they wish to pay resident tuition. Any applications received by the Office of Undergraduate Admissions after this time will be considered for the next term. Any costs associated with traveling to the campus or physical site as determined by the department. Students enrolled in online programs should review your myLeo regarding your individual program disbursement dates. Disbursement information is located under the Award Payment Schedule where you would accept your award in myLeo. Just as educational programs within Texas are approved by The Texas Higher Education Coordinating Board, other states have their own specific agency and in some instances multiple agencies that approve educational programs that will be or are being offered to the citizens of the respective states. A&M-Commerce programs being offered online to students who will reside in states other than Texas will also need to have state authorization from each of the states. This list will be updated as state authorizations are received and/or modified by state legislative action within the specific state. Waivers reduce a student’s tuition assessment rate from non-resident status to Texas resident status. Exemptions remove tuition and/or fees assessment. Texas law requires students who receive specific tuition exemptions or waivers to meet a 2.0-grade point average (GPA) in order to continue to receive this benefit. Texas law also establishes a limit to the total number of hours, cumulative, that an undergraduate student may take and continue to be eligible for under an exemption or waiver. Eligibility: Nonresident and domiciled foreign students whose family has been transferred to Texas as a part of the state’s plan for economic development. Required documentation: Company transferring student’s family to Texas must meet Texas Department of Commerce requirements (contact Angie Mendez 512-936-0222). Coordinating Board notifies the university of eligibility for the waiver. Eligibility: Military personnel stationed in Texas, their spouses and children. Required documentation: Must provide documentation from the military of eligibility at least once per year. Eligibility: Must be employed at least half-time as a teacher or professor at any Texas institution of higher education (employee’s spouse and children are also eligible). Required documentation: Documentation from institution verifying at least half-time employment as a teacher or professor on a regular monthly salary. Eligibility: Students from neighboring states living in counties adjacent to the Texas border with which we have a reciprocal agreement. Required documentation: University must have filed at the Coordinating Board that reciprocity exists between a neighboring state institution and a comparable Texas institution. Eligibility: Students from Mexico who have financial need. Required documentation: Proof of financial need. Eligibility: Student must be employed as a teaching or research assistant at a public institution of higher education. Eligibility is limited to the semester of assistantship appointment. (Employee’s spouse and children are also eligible). Required documentation: Student must provide proof of at least half-time employment as a research or teaching assistant. Eligibility: Student receives competitive scholarships for at least $1,000. Eligibility for waiver is tied to semesters covered by a scholarship. Required documentation: Student must have competed with other students, including Texas residents, for the award. A recognized A&M-Commerce scholarship committee must administer the scholarship. Funds and selection must be under university control. Eligibility: Nonresident students enrolled in graduate programs not offered in their home states. Required documentation: Contact Coordinating Board (Linda McDonough 512-427-6525). Eligibility: Nonresident aliens, their spouses and dependent children stationed in Texas with NATO forces. Required documentation: Proof that family is stationed in Texas in keeping with the North Atlantic Treaty. Eligibility: Undergraduate students from Oklahoma may pay a lowered nonresident tuition rate when they attend a public university located within 100 miles of the Texas border if the Texas Higher Education Coordinating Board has approved the institution to participate in the program. Eligibility: Valedictorians of each accredited Texas high school. Applies during first two regular semesters following high school graduation. Must be used within two years of high school graduation. Required Documentation: Documentation that student was the highest ranking graduate of an accredited high school in Texas. A certificate is issued by the Texas Education Agency (TEA). If the certificate is lost, a new one may be acquired through the high school or TEA or a letter from the high school principal or superintendent may serve as proof of eligibility. Eligibility: U.S. military veterans and children of deceased veterans who were Texans when they entered the service; served at least 180 days of active military duty (excluding training) have insufficient federal education benefits (including Pell and SEOG) to cover relevant tuition and fees. No student may use Hazlewood for more than 150 credit hours with the count beginning in fall 1995. Required documentation: Official documentation indicating eligibility (usually the DD214) plus documentation from the financial aid office regarding eligibility for Pell or SEOG. Eligibility: Dependents of Texas veterans killed in action or died while in service or whose death was directly caused by illness or injury connected with service in the armed forces. Required documentation: Official documentation from the military, indicating eligibility. Eligibility: Children of disabled firemen and peace officers. A student must apply prior to their 21st birthday. Eligibility: Children of POWs/MIAs. A student must be 25 or younger and receiving most of their support from a parent. Required documentation: Provide proof from the US Department of Defense that parent is MIA or POW. Eligibility: Peace officers disabled in the line of duty. Applies up to 12 semesters of an undergraduate degree and work on first master’s degree and first doctoral degree. Eligibility: Blind or Deaf students. Required Documentation: Certification of a blind or deaf condition by the Texas Department of Assistive and Rehabilitative Services, the Texas Commission for the Blind or the Texas Commission for the Deaf and Hard of Hearing. Eligibility: Students from other nations of the western hemisphere (other than Cuba). Required Documentation: Coordinating Board must approve eligible students. Students are selected by the Coordinating Board according to school and geographic priorities. Eligibility: Students in foster or other residential care. A student must enroll within 3 years of earliest dates: date student was discharged from foster or other residential care, date student graduated from high school or received equivalency degree or student’s 21st birthday. Required Documentation: Student must provide proof of having been in foster care or other residential care under the conservatorship of the Texas Department of Family and Protective Services on or after the day preceding the student’s 18th birthday, the day of the student’s 14th birthday, if the student was also eligible for adoption on or after that day; or the day the student graduated from high school or received the equivalent of a high school degree. Eligibility: Members in good standing of the Texas National Guard. This includes TXARNG, TXANG and the State Guard. Required Documentation: Adjutant General’s Office approval to the Coordinating Board. Fall deadline is June 15. Spring deadline is November 15. All applications are to be mailed directly to the Adjutant General’s Office. Eligibility: A&M-Commerce employee for at least six months in a full-time budgeted position. Required Documentation: Employee Scholarship Application indicating approval of Department Head and signed promissory note for the cost of tuition in case course is dropped or employee receives a grade lower than C.
Can anyone pay on my student account? Yes, anyone can make a payment to a student account as long as they have the account number for the student account. Can I pay my tuition/fees in installments during the summer? No. The installment payment plan is NOT available for mini and summer terms. Tuition/fees must be paid in full. Do financial aid and scholarships apply to mini terms? No, they do not apply to mini terms. Does a Hazelwood waiver cover full tuition/fees? No, it does not waive the student services fee. If I want to send an “express” payment, where would I send it? What form of payment will university cashiers accept? Personal check, cash, money order, cashier’s check, credit card (VISA, MasterCard, Discover and American Express) are all accepted. 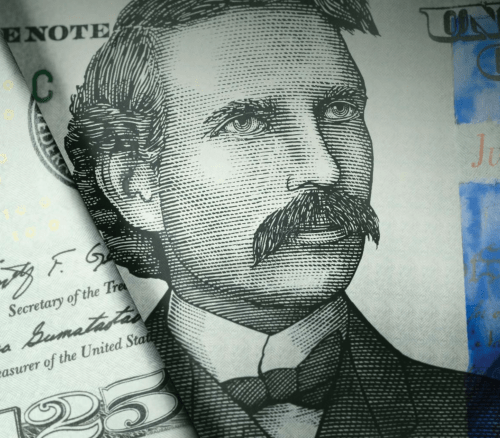 Returned checks must be paid in cash, with a money order, or cashier’s check. A service fee of $30 per check will be charged to the account. A $100 late registration fee is charged for students that register beginning on the first class day of each semester. A $25 late payment fee is charged for past due balances greater than $100 for all installment payments. A $25 late payment fee is charged for each loan outstanding on delinquent student loan balances. Where can I send my Tuition/fee payment? Will a thesis/dissertation waiver hold my schedule? Will my schedule be removed if my payment is postmarked by the payment deadline? Yes, the schedule removal process only recognizes receipted payments.